Beekeepers enjoy taking advantage of the fact that the honey bee will store more honey than the colony will need. A typical hive will store a surplus of 60 to 80 pounds of honey. Beekeepers set their goals on extracting this honey and filtering it into bottles. Hives entering their second (or later) year should undergo spring treatment before the honey harvest. Certain treatments would not affect the purity of the honey, but the use of harsh chemical treatments will contaminate the honey supers. In either case, treatments should cease during the honey harvest. Beekeepers want to ensure that their hive is well maintained and offer feed for their bees as a reliable source of food to collect for the colony. Having a feeder on during the honey harvest will allow for the bees to store sugar water instead of honey. This does not affect the harvest from being edible but will give the honey an influential sugar water flavor. 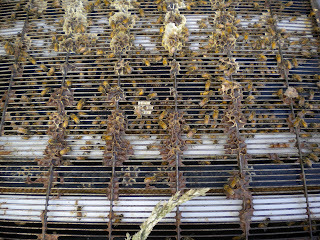 Beekeepers want to harvest honey instead of sugar, therefore remove the feeder while honey supers are on the hive. Preliminary steps need to be taken to ensure that the queen does not enter the honey super and begin to lay eggs. A queen laying eggs in the honey super will limit the amount of space to store honey and will pollute the honey with larva upon extracting. Adding a queen excluder will guarantee that she will not enter the honey super. Worker bees will be able to go up into the honey supers and store nectar that is being foraged from flowers. The queen excluder will prevent the queen from entering the supers but will allow workers to easily move up. The key step in harvesting honey from your hive is to clear out the honey supers. Every beekeeper will have their own method to clearing out the honey super and some are easier than others. 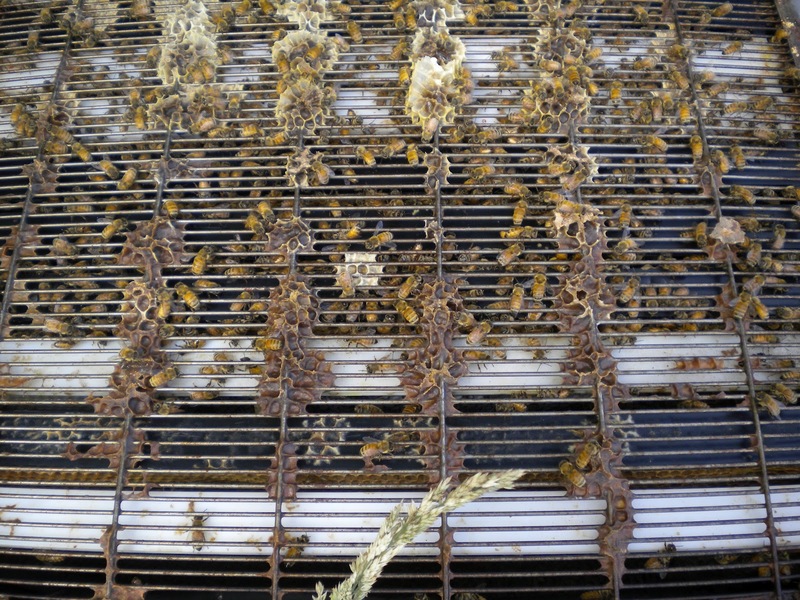 An escape screen is an easy way to harvest that will ensure that once your bees have left the honey supers, they are challenged to get back into it. Using a fume pad and a Natural Honey Harvester will quickly force your bees to vacate without contaminating your honey. After harvesting frames from the honey super, take the frames into the extracting room and begin to uncap each frame. There are multiple methods in uncapping frames: Sideline Uncapper, Cold Knife, Hot Knife, or an Uncapping Fork are some methods for beekeepers to use. Here are some videos on these uncapping methods.